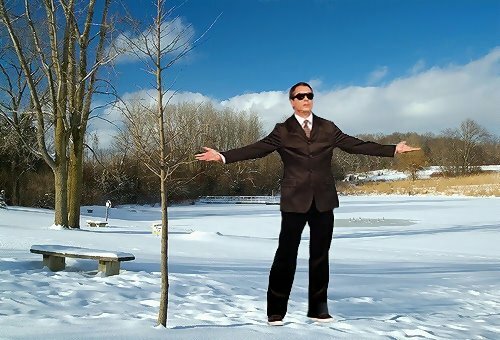 Look who stopped by the old fishing pond across the street and ruined my SkyWatch Friday shot, what a ham! This entry was posted in blogging, photo-manipulation, photos and tagged academy awards, movies, photography, photos, robert downey jr., skywatch friday by Lilli Day aka bookbabie. Bookmark the permalink. Nope – can’t see the sky me neiter ! That’s a hoot … but tell me how did you know mine was two photos (layered)? He ruins it very nicely. I don’t see the sky either…it is shoved aside by his greatness.